Today we ran our weekly errands! Since the boys are able to be out & about for hours at a time now, I try to do them all in one day. When they were younger, I would spread them out over a few days to avoid meltdowns and missed naps. Those errands, plus lunch, took about 4 1/2 hours. 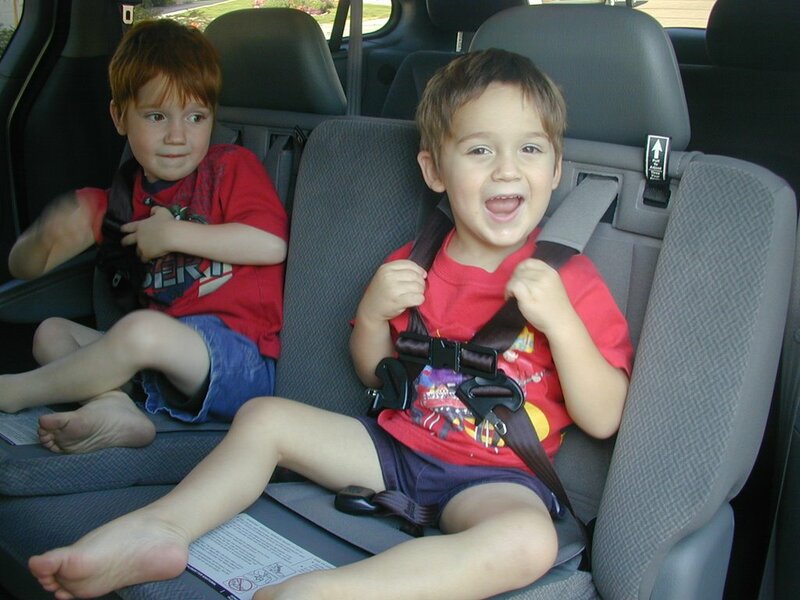 As we were driving home, I was thinking about how much easier this is now -- neither boy naps, both are old enough to walk along side the cart, can mostly buckle their booster seats, and are reasonably well behaved. It's been years since running errands was this easy! I was talking to B after we got home, and he laughingly said "Well, I'll knock you up again and you'll be stuck at home!" I replied that we'd just teach the next one to nap on the fly!